Rep. Tim Walz, D-Minn., plans to introduce legislation Thursday to create a “center of excellence” to study and manage medical care for veterans with illnesses caused by chemicals and other battlefield environmental hazards. Walz will propose a “Center of Excellence for Toxic Wounds," managed by the Veterans Affairs Department, that would provide a one-stop shop for research initiatives, health care treatment policy and guidance, and specialty care for chronic illnesses linked to exposures resulting from military service. 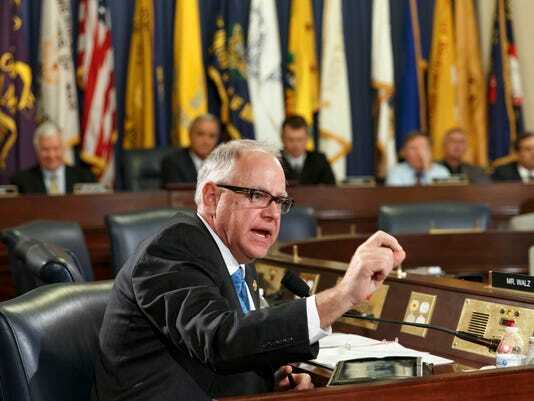 Speaking with the House Veterans' Affairs oversight and investigations subcommittee on Tuesday, Walz said the time has come for VA to consolidate programs on myriad environmental exposures that poison veterans. 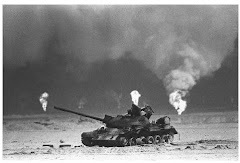 “Vietnam veterans are concerned about genetic defects caused by Agent Orange. 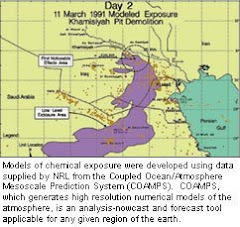 There’s the burn pits, there’s depleted uranium. Shame on us for not learning. Every generation is having to come back and fight for all these things,” Walz said. The VA has three centers dedicated to post-deployment health conditions — the War-Related Illness and Injury Study Centers in Palo Alto, California; East Orange, New Jersey; and Washington, D.C. The WRIISCs provide clinical diagnosis and treatment for veterans with medically unexplained symptoms, educate veterans and health care providers on such illnesses and conduct research on deployment-related illnesses. But the new center would bring a “laser focus” to these issues, Walz said. “It brings it all under one umbrella, helping make the research and the movement on these problems much faster,” Walz said. The Defense Department oversees a number of centers of excellence, including one co-managed by the VA for psychological health and traumatic brain injury as well as the Deployment Health Clinical Center and the National Center for Telehealth and Technology. Other Pentagon-managed centers for excellence are dedicated to vision and hearing loss in military personnel. Walz said having one entity responsible for overseeing exposure research and treatment, regardless of toxin or conflict, would improve decisions on research spending, and, most likely, yield better results. “You have to make decisions on where the spending goes. And we must keep going,” Walz said. The idea received support from subcommittee chairman Rep. Mike Coffman, R-Colo., who said it could “combine resources and get down to the bottom” of the problem for veterans, now and in the future. Dr. Carolyn Clancy, assistant deputy undersecretary for health, safety and quality at the Veterans Health Administration, said VA also is open to the idea.